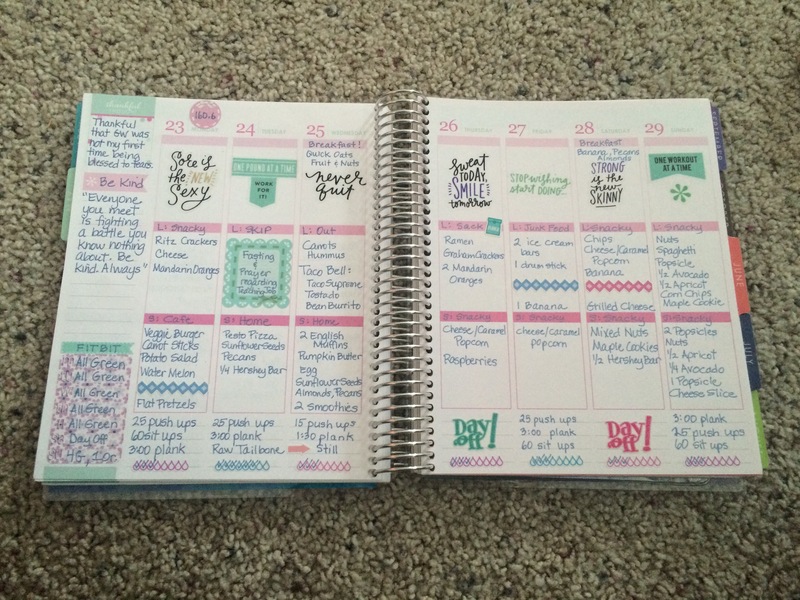 I’m loving my new planner and having fun with functional layouts! 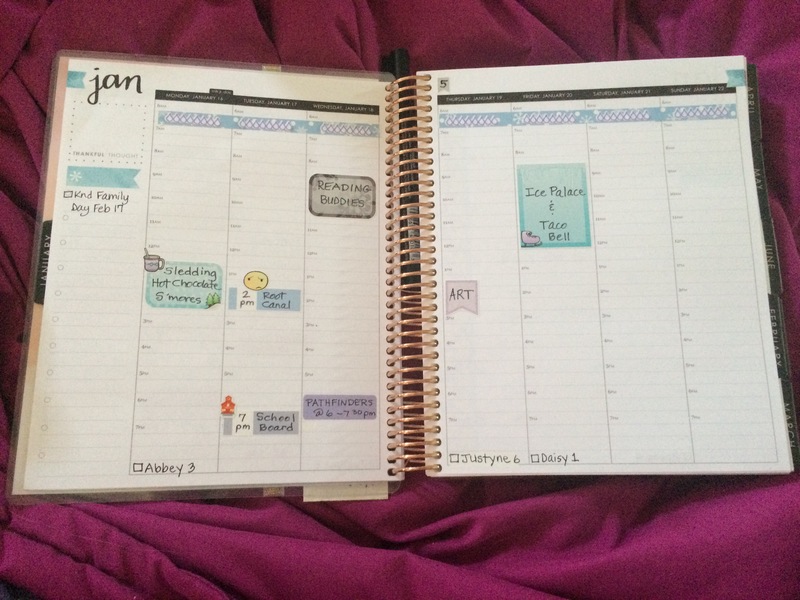 January 16-22, my upcoming week. This is everything that I know of so far that is on my schedule. 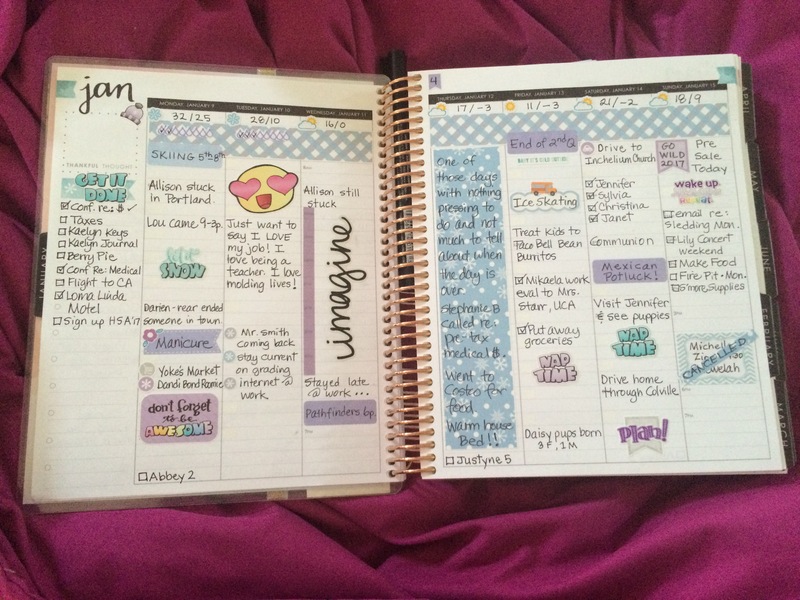 As the week progresses, I fill things in as needed. I enjoy this hobby so much! 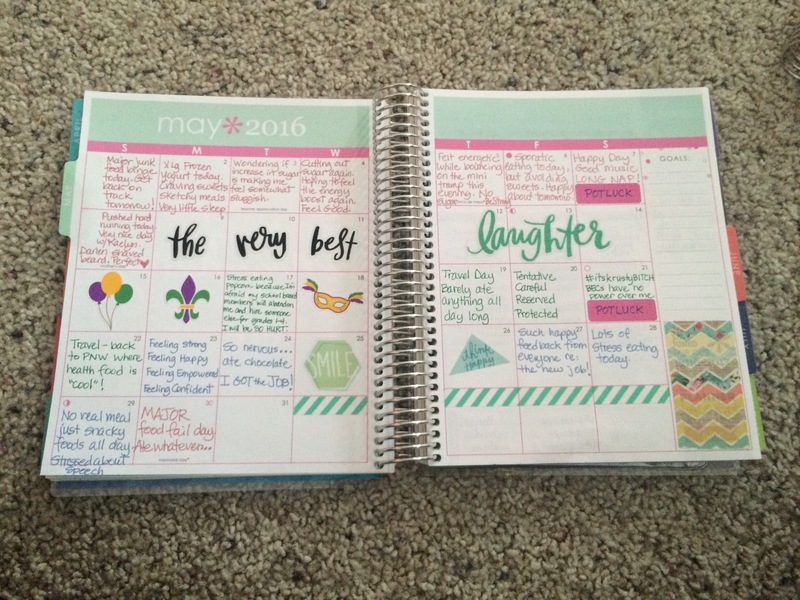 Most used stickers shops are Krissyanne Deigns, EC, Libbie & Co, and Planner Chick Designs. 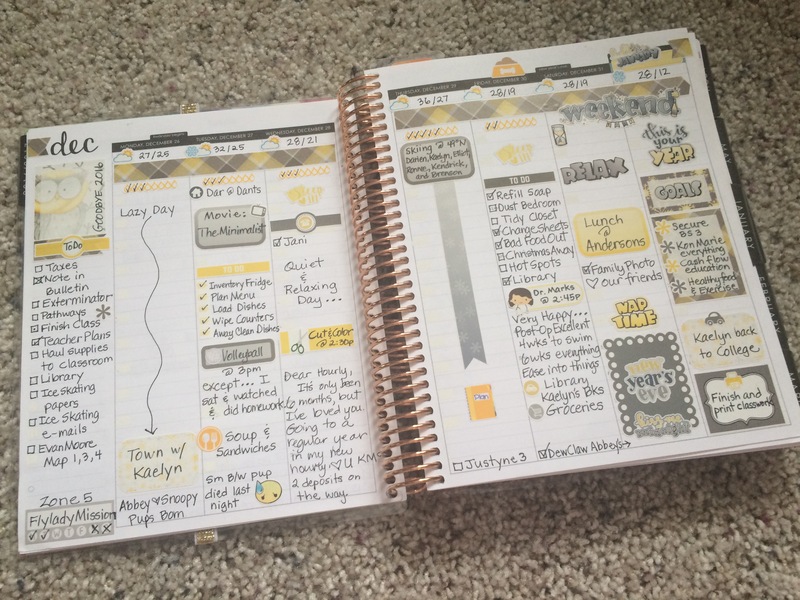 The first pages inside my Wellness Journal! I love how this turned out! Here’s a closer look at the right side! 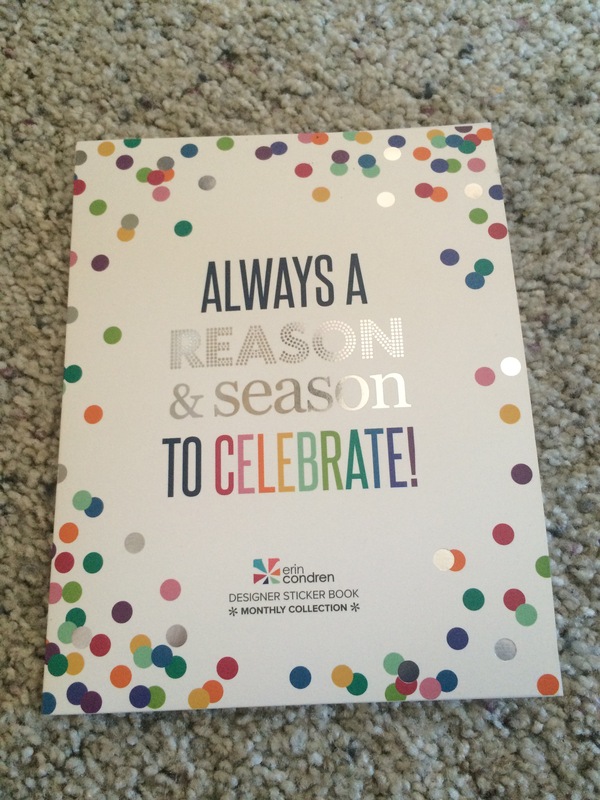 These stickers are from the Erin Condren Always A Reason & Season To Celebrate sticker collection. 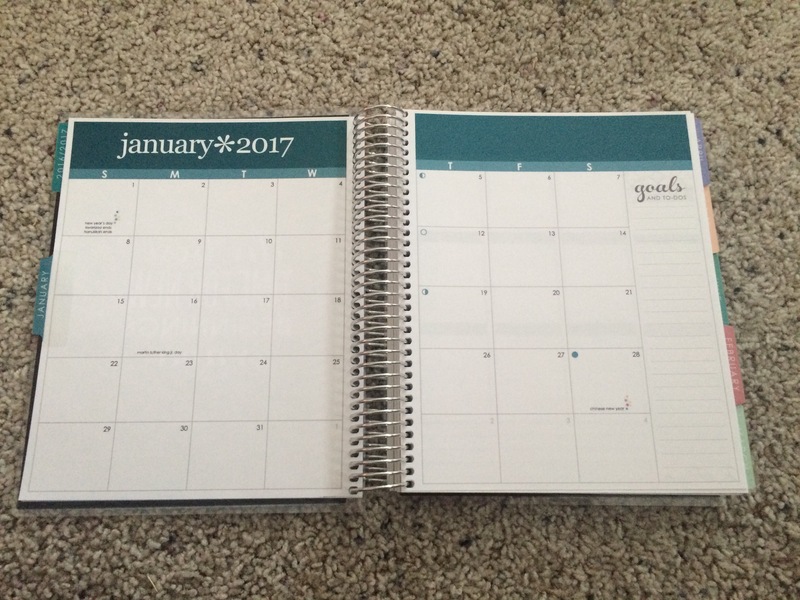 I used one from each month! Let’s make 2017 the best year of wellness yet! I’m going to try and use my EC labels more this year. I like to move the label so there is space all around it before I write on it. It’s easier to see the edges so I can center my letters/words better! 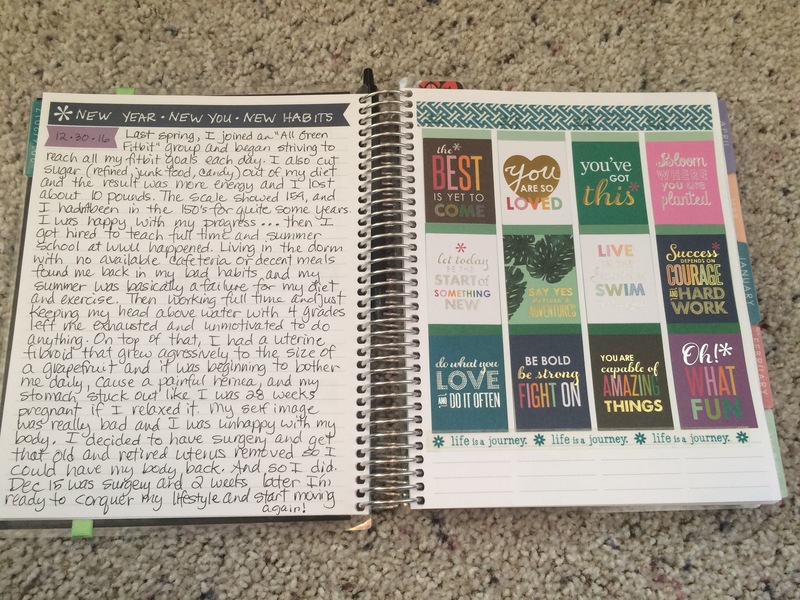 New year, new goals! It’s that time of year again when we get all exited about making changes and becoming better versions of ourselves. I’m ready to tackle my goal of healthier eating and a more active lifestyle. 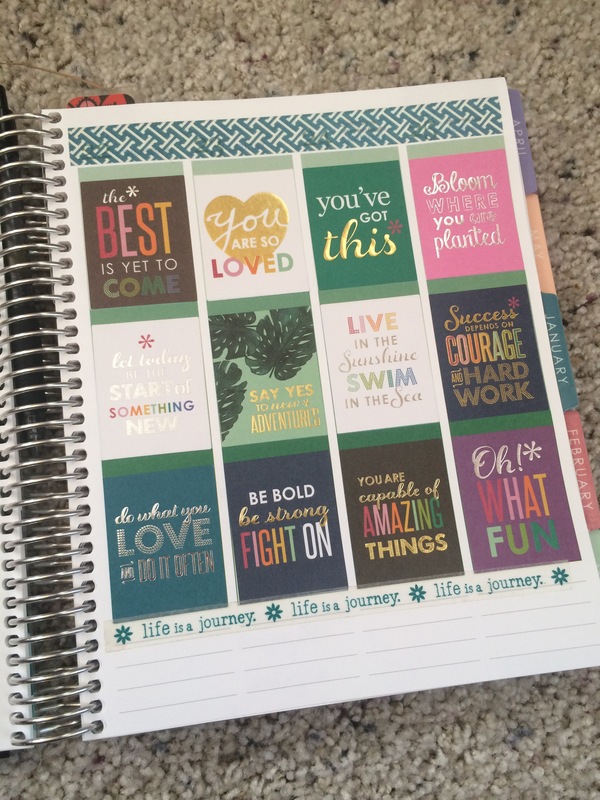 I’ve removed my Wellness Journal cover from last year’s journal, and locked it onto a new Erin Condren colorful vertical life planner and I’m itching to get started. 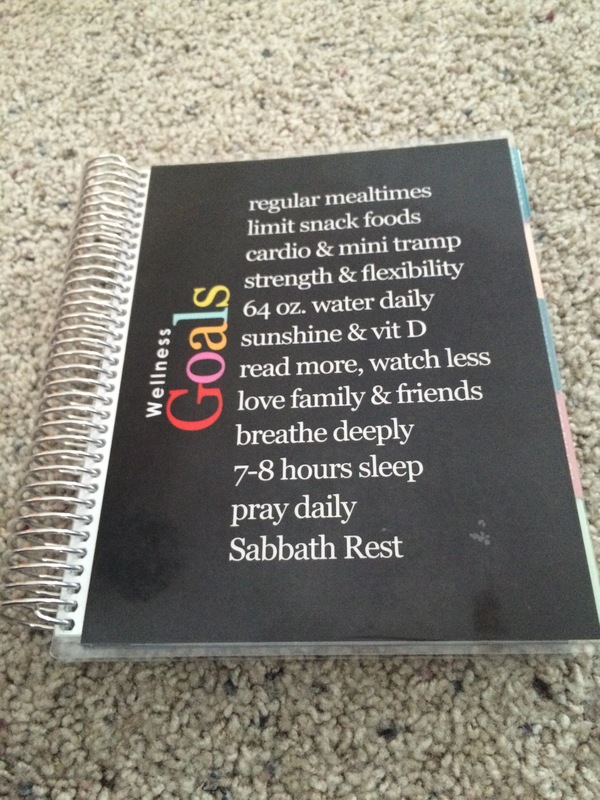 These are my goals listed on the front cover! 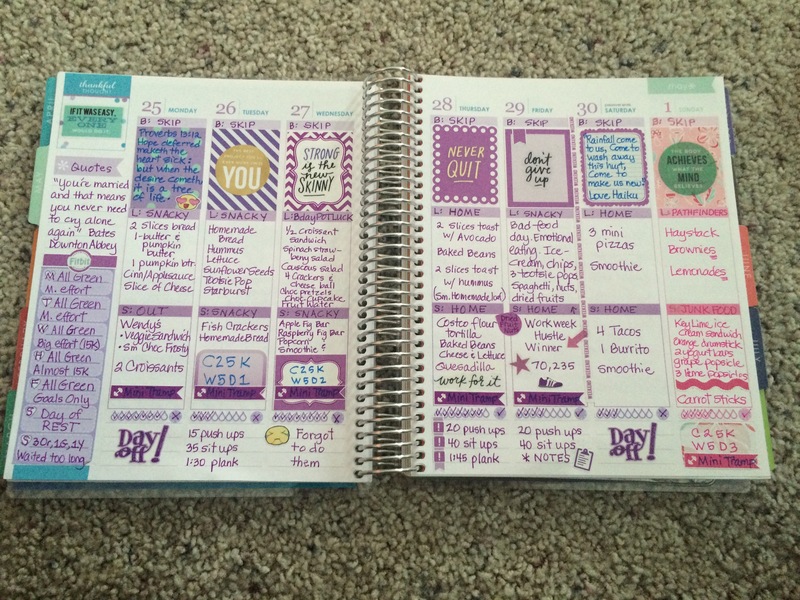 The new planner has the vibrant gemtone colors inside and since my regular planner is a neutral hourly, I’m excited to work with these rich colors in my Wellneess Journal. 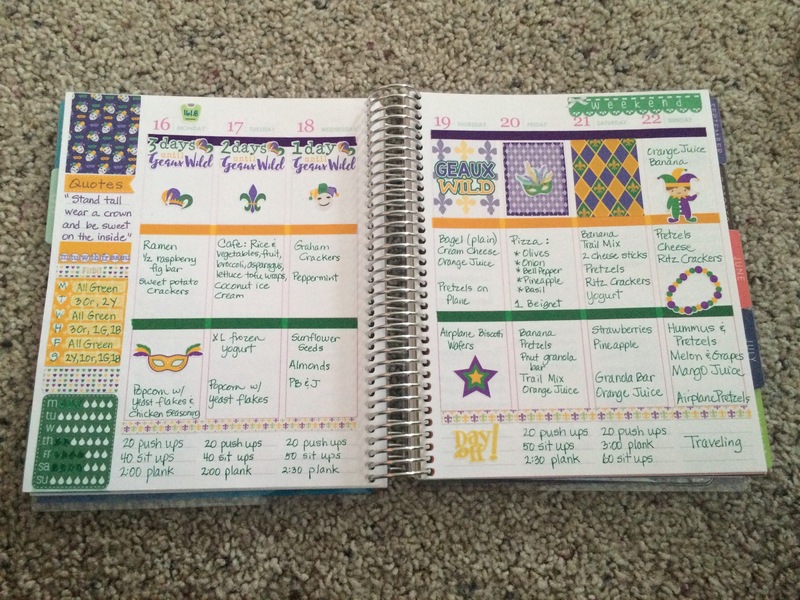 Here are some pages from last year’s Wellness Journal. 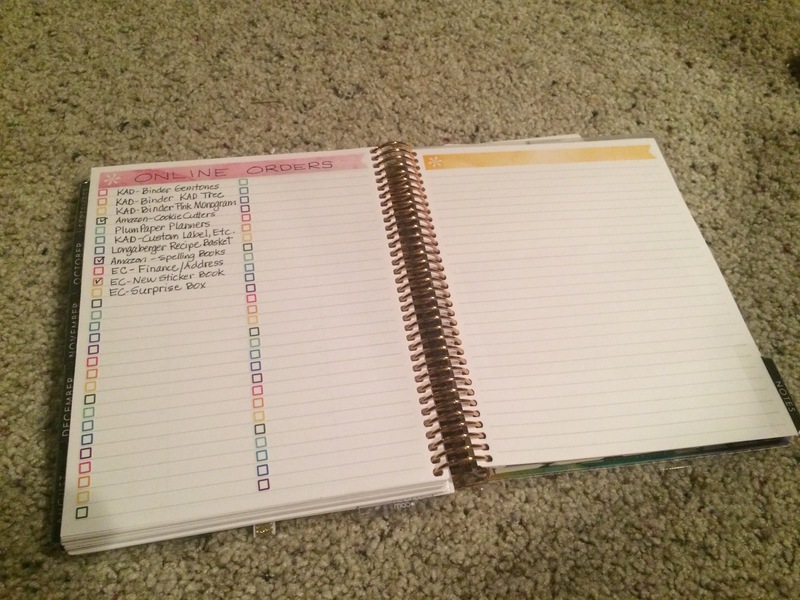 I simply write down what I ate and track my Fitbit steps and any other exercise that I do. I like to sprinkle in some motivational thoughts and some poetry here and there. Writing down everything that goes into my mouth actually motivates me because I don’t want to have to see a record of all the say M&M’s I consumed on a bad day!! So I won’t eat them just to not have to write it down!! 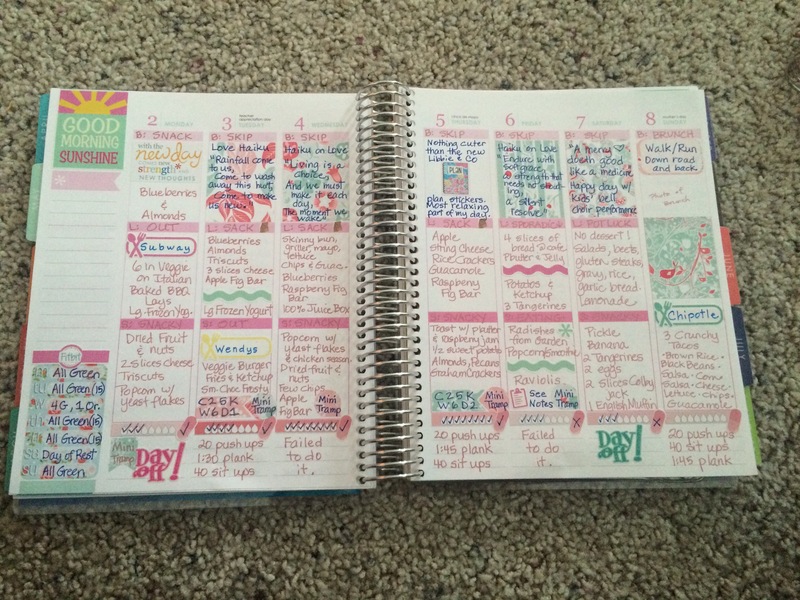 I use the monthly layout to jot down how I’m doing emotionally as food is often an emotional response to what is happening in our lives. 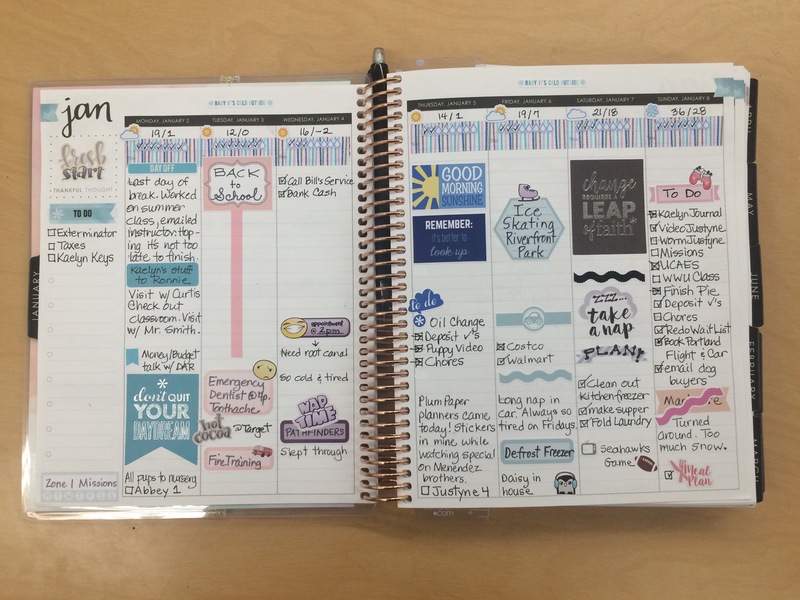 I do my best with this because it does take work and time to keep a daily record, but when I fall off the wagon, like in one of the blank layouts above (because it definitely happens), I just keep climbing back up and moving forward! This is a duplication of something I did last year that I absolutely loved! I keep a list of things I’ve ordered online and check them off once they arrive. 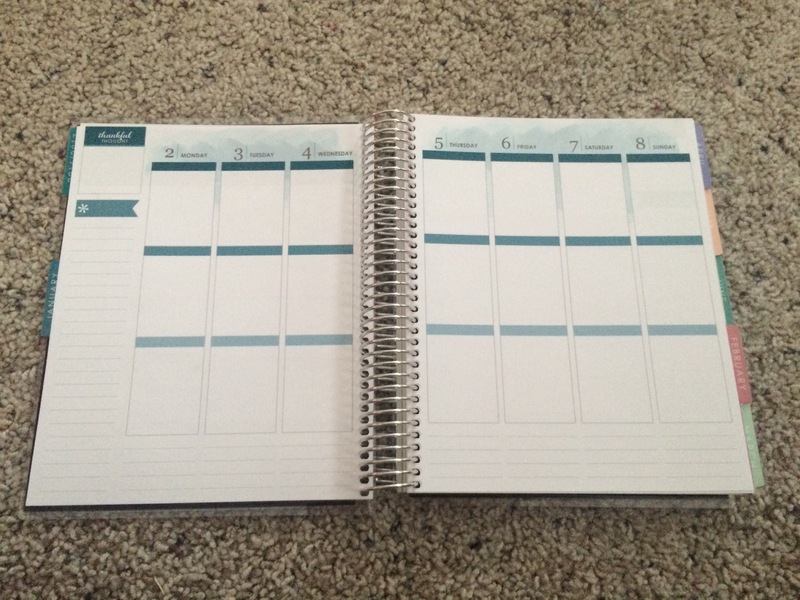 It’s so easy to forget what you ordered, and this completely keeps me on track so I don’t lose or forget anything. 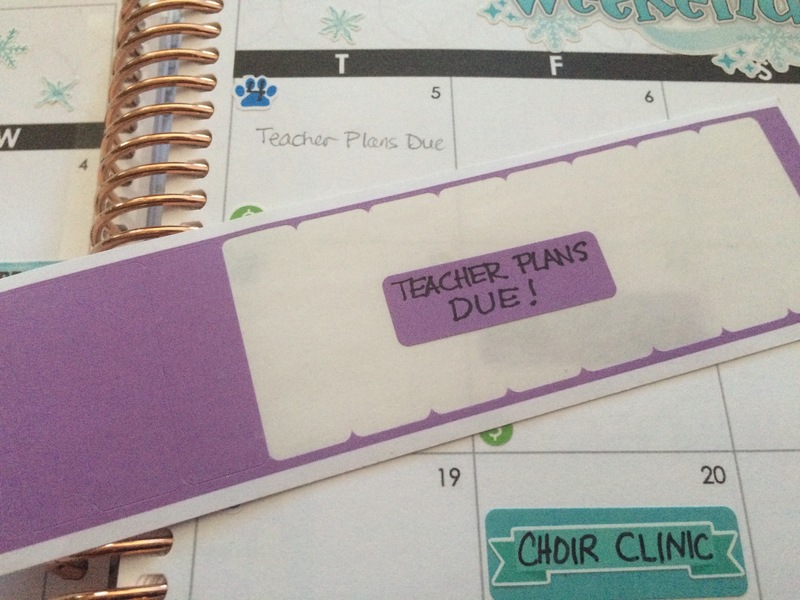 I plan to use the first 2 note pages for this purpose. 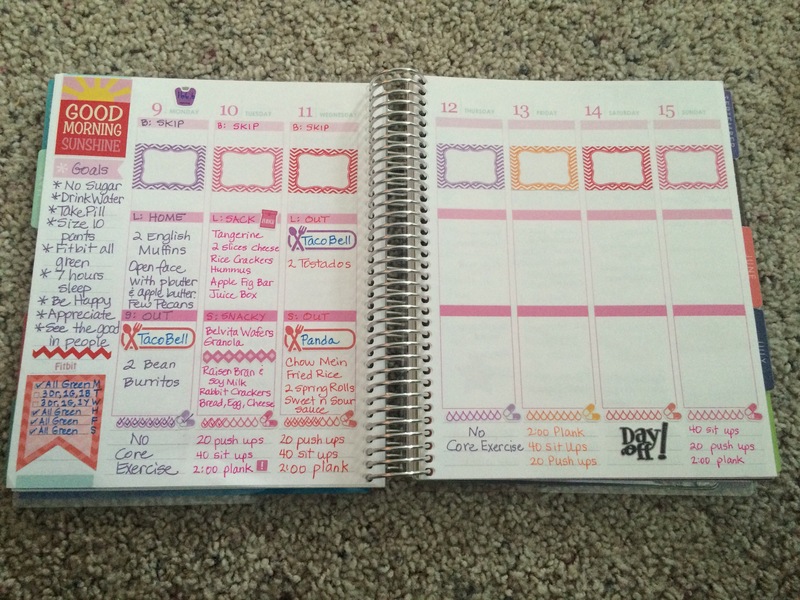 They are kind of in front of the notes tab anyway, so this seems like a great place to nestle these two pages into my planner. The box stickers are from Krissyanne Designs. 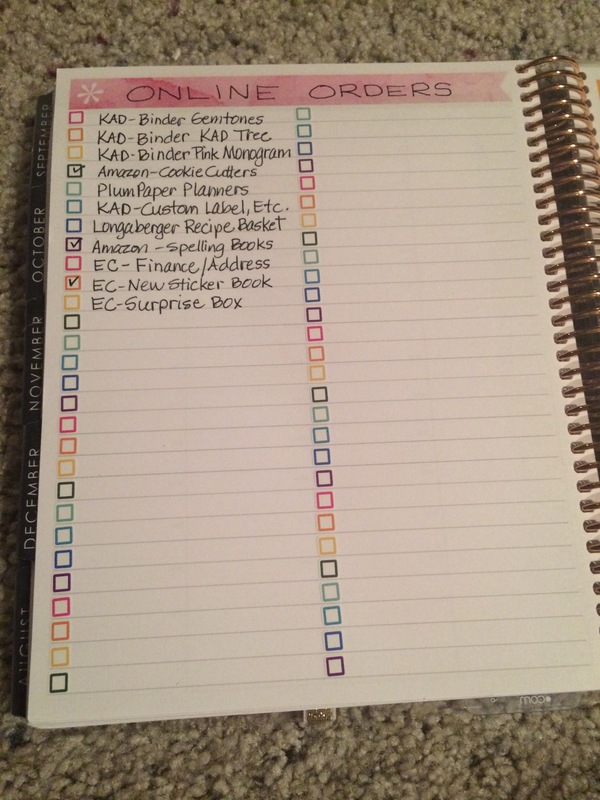 You’ll find that I’m a huge #kaddict (KAD addict) and I use a LOT of her stickers. 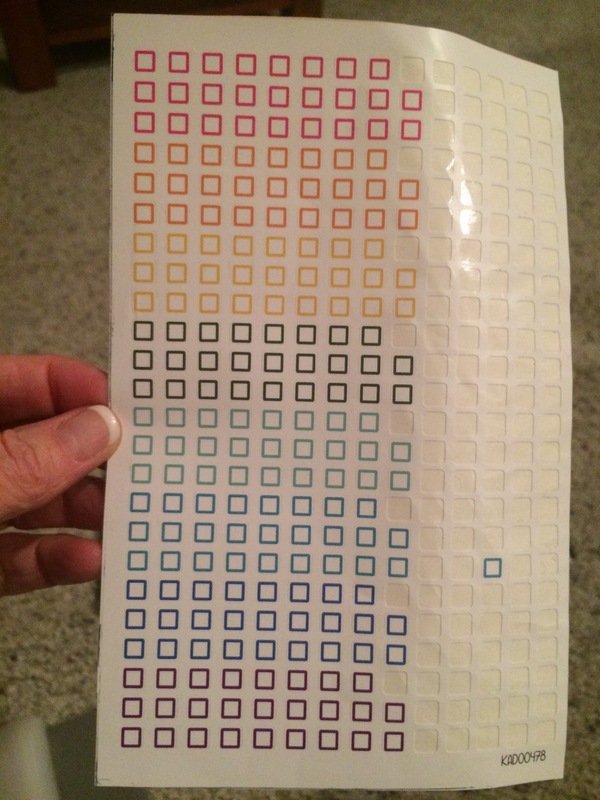 If you want to get some of these check box stickers, it’s sheet KAD 478. These are the bold colors. They also come in pastel. 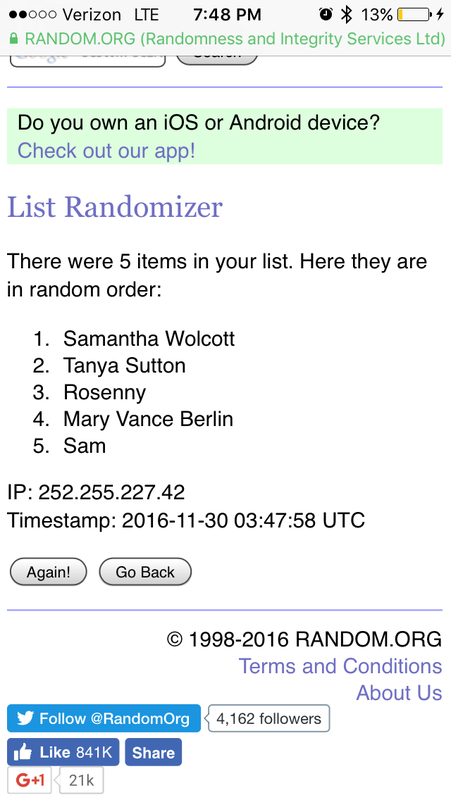 Congratulations to Samantha Wolcott! You won the Tiny Giceaway. Please message me your address and I’ll get the stickers in the mail right away tomorrow! 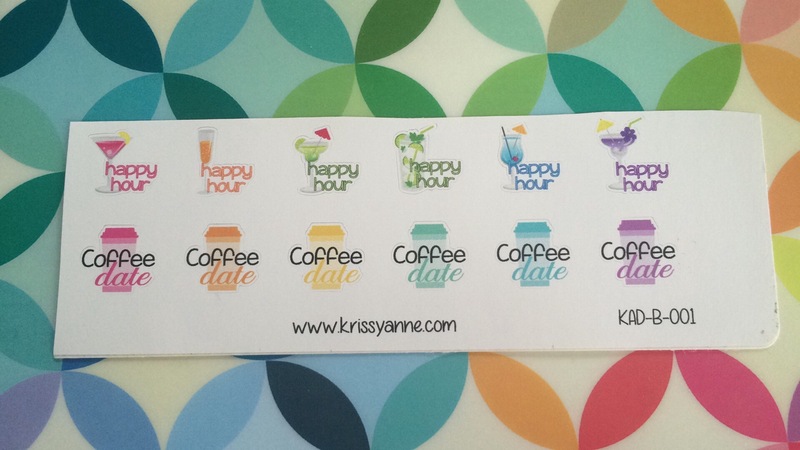 I have these fun Krissyanne Designs exclusive sampler stickers and I want to give them away! 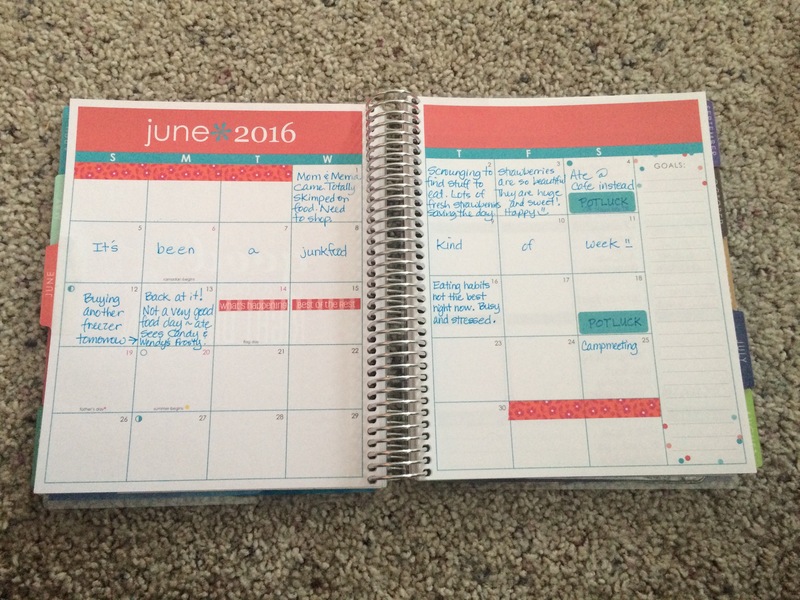 Leave a comment sharing what you’d like to see more of on this blog for your chance to win! I’ll choose a random winner on Tuesday evening.